Living in the Anglian TV region, training on hills is slightly awkward and therefore, completely avoided by myself, trust was put into my well used mountain legs. I rarely cycle up mountains, or run up or down them… and here we were on Friday afternoon, having a nose around Grizedale Forest and it was hilly, steep and I felt totally out of my depth. It’s strange, you can do all the training and get yourself prepared for any sporting event and you’ll still think you could have/should have done more. Well, I do anyway. Generally because I could have. Tim and Martyn both have less bodyfat than me, Tim’s a personal trainer and Martyn does triathlons, he’s even done an half Ironman in the distant past and these were my teammates. Uh oh. We booked into a Hawkshead B&B, a place that William Wordworth once resided in but for me at least, sleep was unobtainable, one lousy hour. I was far too wired. My first race since school, some 30 years ago and that was a 110m hurdles event, Gary Chambers won that and I was second. Tomorrow was going to be very different. I still wasn’t going to win. Rather than a lap by lap description, I’ll just mention how it felt – I could have thrown up at times, exhilarating, painful, sweaty, joyful, cold, poetic… it was everything, all wrapped up in three and a half hours exercise. Utter bonkers but I wanna do it again. And better. Lots. We made some bad decisions in hindsight – we should have nailed the first run, that would have placed us better in the singletrack sections where even I, with my useless skills, was being held up. We were far too slow in transition. Both Tim and myself suffered from cramp in the latter stages, Tim uphill and me going downhill, my hamstrings would start to tighten. 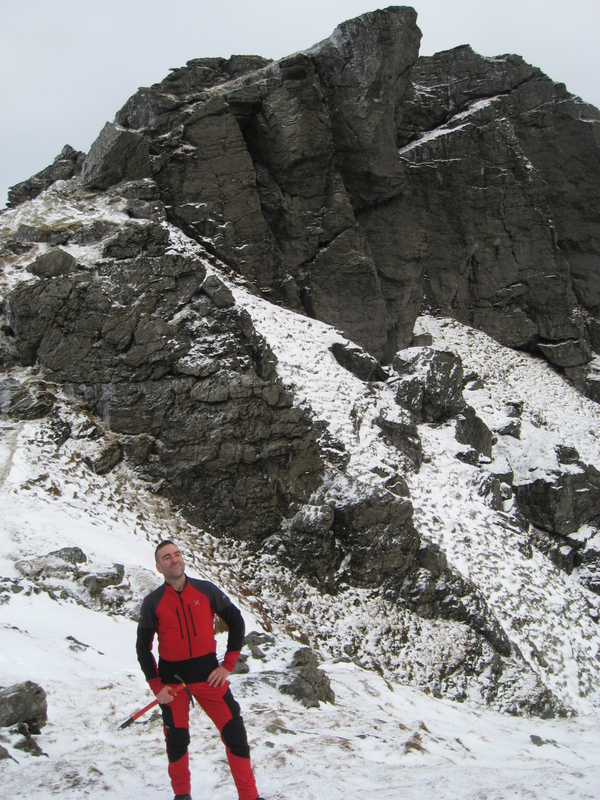 We know the causes now tho and that’ll be easily remedied, the whole race was one huge, giant learning curve… actually that was the run up Carron Crag. Post race disappointment of course, we know we could shave thirty minutes off our time and we’d have been top 50 out of 249 teams then. That’s for next time tho. Next up for me… ‘The Wall’. Only a 69 mile Ultra. Roll on June. It’s truly been a life changing and trusty old friend. 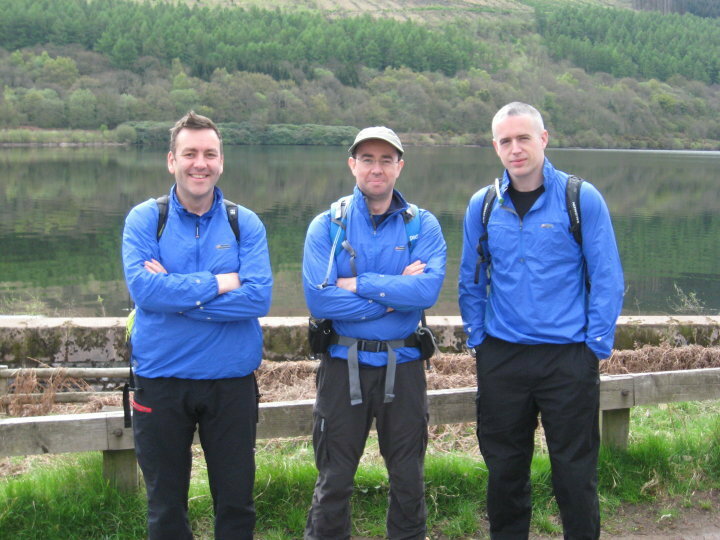 My Montane Featherlite smock, an original piece in a fetching blue, has finally been resigned to walking history. It may get used on the mountain bike on muddy days but it’s time as THE ‘go to’ garment for outdoor outings has passed. Even at the last however, it hasn’t let me down. Quite stupidly, I forgot to change the temperature setting on the washing machine and the poor old thing had to endure an 80 Celsius wash. An Arcteryx top gave up the ghost, a Saloman shirt disintingrated but the Featherlite came out much the same as it went in… minus a few shades of blue. 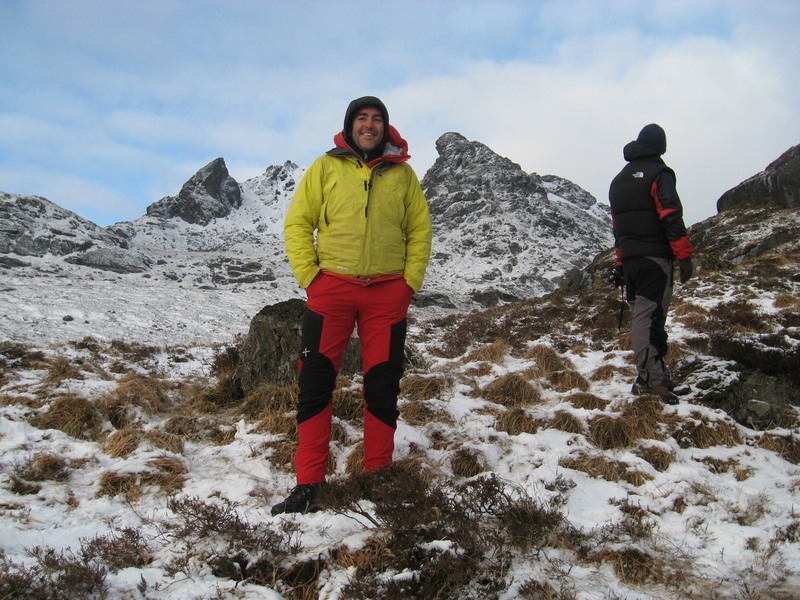 It was too baggy and flappy, wind noise could be horrendous but it changed the way I approached mountains and clothing massively. I can’t think of a better £16 I’ve ever spent, well done eBay, and it represents perhaps the best value for money item I have, certainly in terms of hours worn. Merino socks just don’t understand value for money. The newer models pictured above on the right, had a slimmer cut and less wind noise and Pertex has moved on a bit, what with the Quantum fabric, so that hot wash gave me shopping options. What new windshirt to buy? 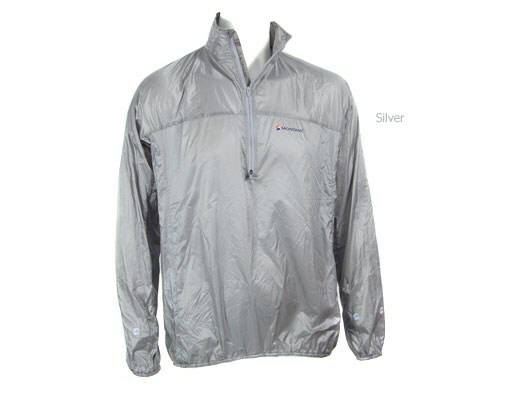 Found yesterday on the sale rail of the Climbers Shop in Ambleside… a Montane Slipstream Featherlite Smock, specially made for them and in shiny silver Pertex Quantum. The price made me smile, lots. £22.50. Meet my new best friend. Hopefully it will last as well, the material makes me think it won’t but we’ll see. Silver… Buck Rodgers in the 21st Century. 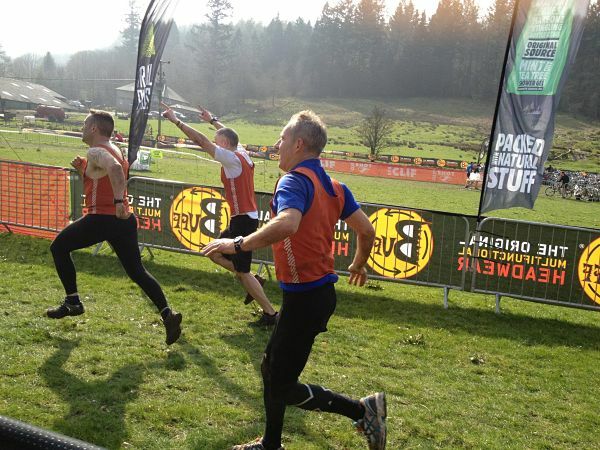 An adventure race known as the Cumbrian Commotion. I didn’t take too much persuading to be honest, Tim just seemed to hit the right nerve when he suggested what is basically a triathlon, offroad and longer timewise. Oh dear. In about 35hrs time, I’ll have my tight leggings on, a triathlete and a personal trainer for teammates and a gut full of nerves no doubt. How bad can it be? 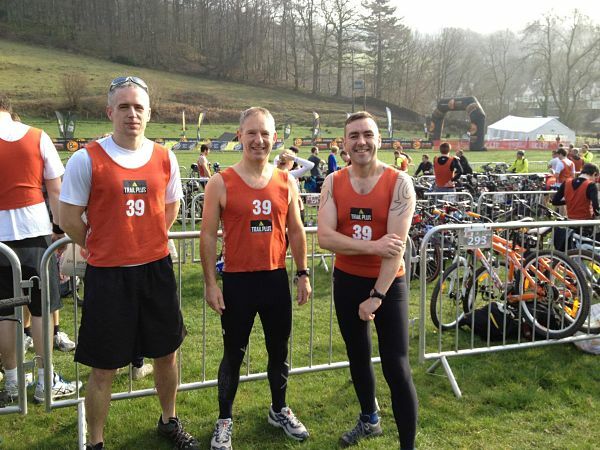 A three man kayak, a 25k mountain bike, some assault course stuff and 6 or 7 miles of running. It’s a little hilly in the Lakes and from what I’ve read, it may take a bit of effort. The carbs are loaded, the bike needs sorting and as usual, I’m procrastinating. I’ll see you at the bitter end. 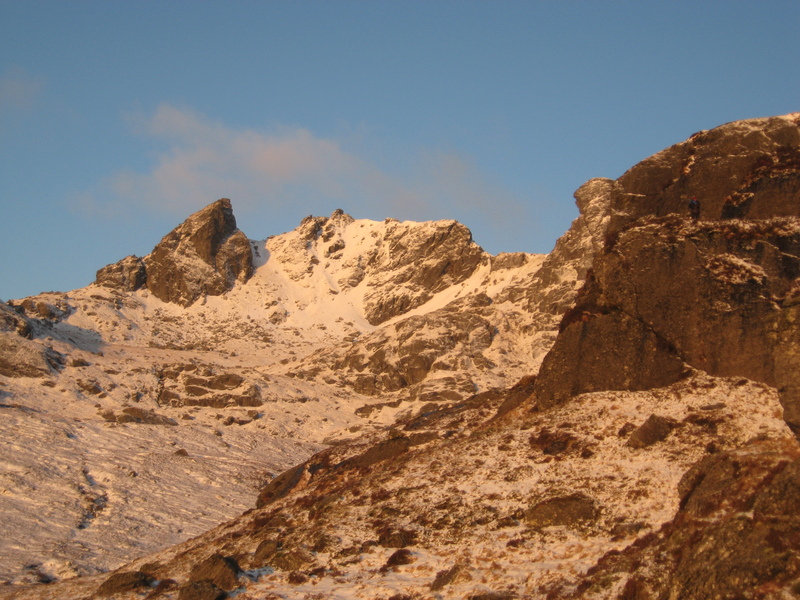 Tower Ridge – sort of. The alarm went at 4.45am, I was working down in London for half term, decorating a school ready for use during the Olympics. The job wasn’t quite as expected however and two phone calls later work was sacked off for the rest of the week, kit was thrown in the van and Fort William became the objective. Chiz and Simon had been climbing on the Ben since the weekend and I was keen to get in on the action after the recent trip to the Atlas. The journey was slow – rampant roadworks, an hours snooze near Manchester and eventually I clambered into the back of the van alongside Loch Lomond, let my weary eyelids finally snap shut and slept rather soundly. Until the 4am alarm! Argh. 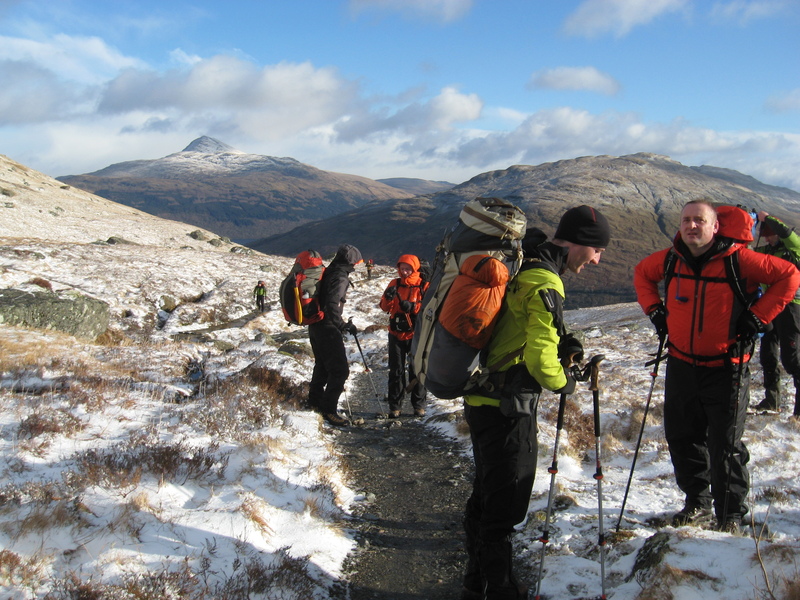 Tuesday was a rest day for the other two, so I got myself settled into Alan Kimber’s bunkhouse for the night and we all headed for a stroll along Glen Nevis. I’ve camped at the site up there but not gone any farther, the road itself is a winding mess of offset cambers and blind bends. Ace on a big trail bike in the first hour of dusk. The weather was taking a definite turn for the worse, the temperature was rising and a thaw was on it’s way. I’ve climbed plenty of multipitch with Chiz in summer but had never even met Simon before and we had a quick discussion about climbing as a three. 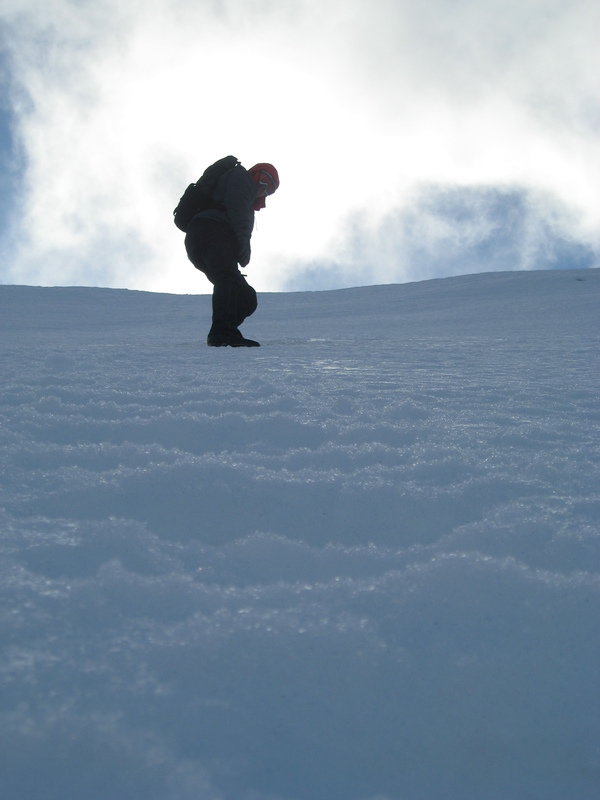 Whilst I’m happy to be out in the hills in winter and fairly competent in crampons, I’d never been roped up whilst the snow lay on the ground before, so no leading for me. 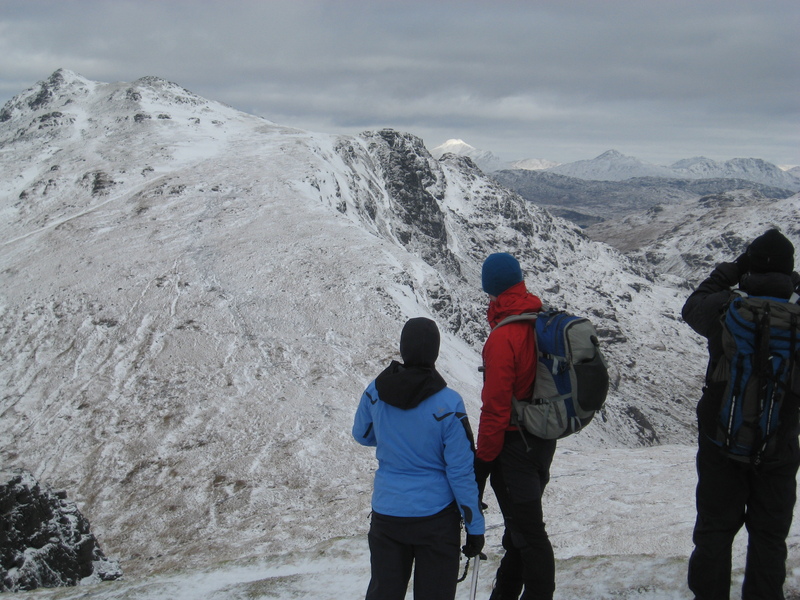 Early doors, a walk in to the legendary CIC hut and discussions started as to what we were going to climb. Tower Ridge? That was that. 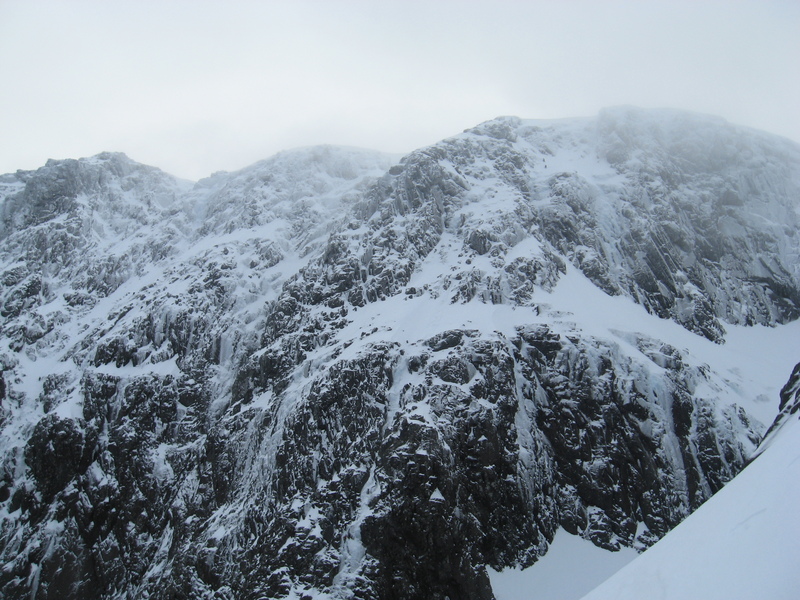 I could feel the adrenalin starting to flow, Tower Ridge was the first winter route to be climbed on the Ben, way back in 1895 and it always means something special to be walking in the footsteps of those early pioneers. I dunno, it just gives me a sense of pride and place in the world to be on a route that some chaps with hemp ropes, nailed boots and probably wool jumpers accompanied by tweed dispatched way back in the day. We didn’t complete the climb in the end but it didn’t really matter. Chiz was feeling really ropey by the time we were at the Little Tower, he’s normally battering away ahead of me and strong as an ox but he really had nothing in him. His room mate at the bunkhouse had been up all night throwing up, so who knows? 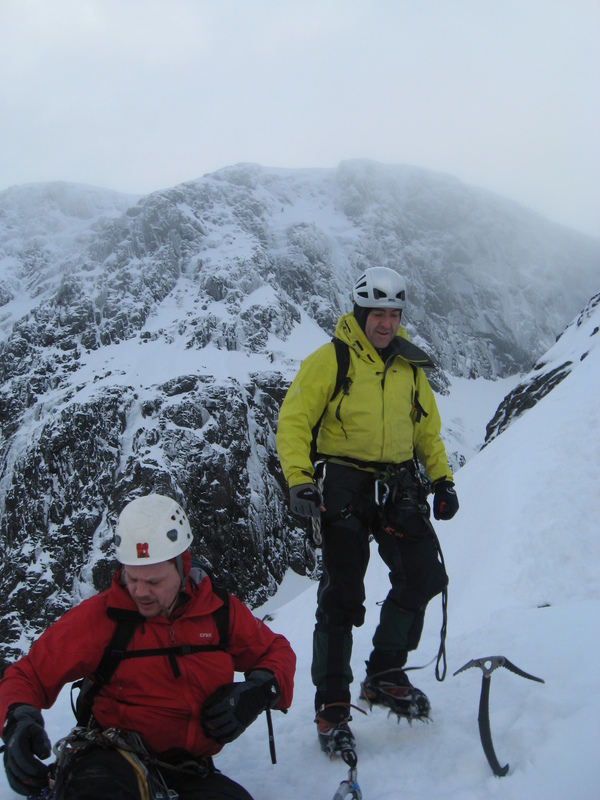 We’d roped up for the rock above the Douglas Gap and just soloed till then, I could see lines to be done at some time in the future everywhere – being on Tower Ridge and having odd views when the mist cleared in all directions was just grand. 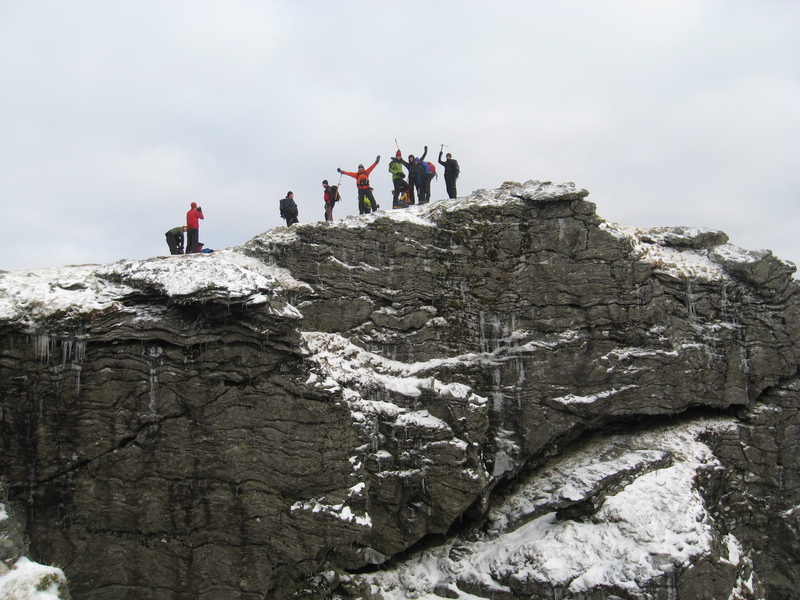 The summit is never the real objective when mountaineering, it’s getting back down safely and we’d done just that. I had a great time, it had rained, hailed, my gloves (all of them) were soaked but even Chiz’s discomfort couldn’t take the edge off Tower Ridge for me. I’ll be back. The next day brought strong winds and high temperatures, so Chiz and I decided a stroll around the Grey Corries might be an adventure and we soon found ourselves with a raging torrent of melt water to cross. I wanted to just make a dash for it, Chiz was all for taking his boots off and I’m glad I followed his lead. 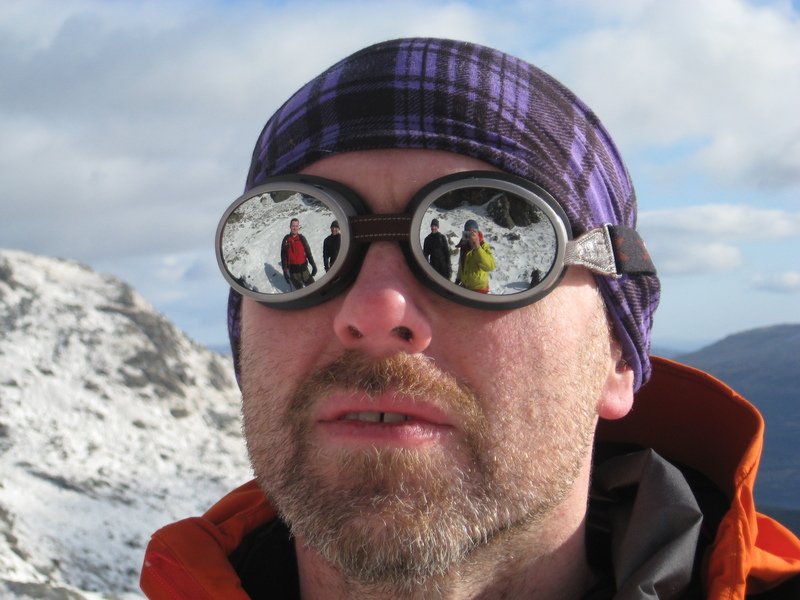 Blimey – it was cold and strong, just like a chilled Stella Artois. After being put on our backsides by the winds once we were on the top of some munro, we slid down into a Coire, laughing as we picked up speed! Who needs skis? I even managed a standing glissade for a couple of metres. 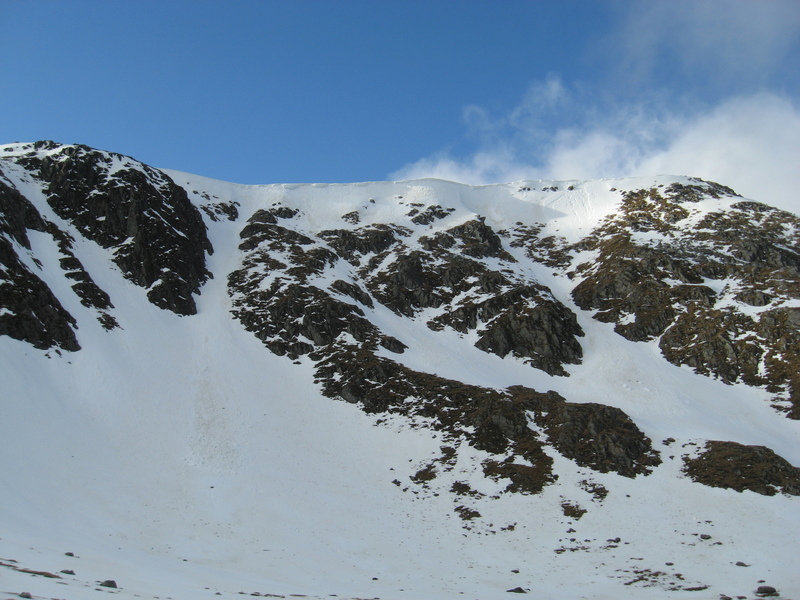 The thaw was biting hard and there was evidence of avalanche debris everywhere and huge cornices, that looked ready to crumble and bail from their precarious perches. 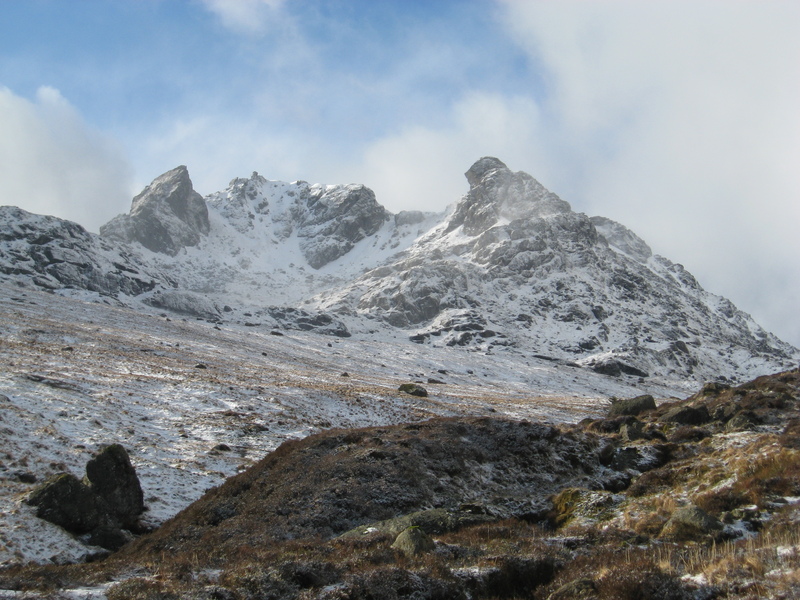 Sometimes a walk in the hills is every bit as good as a scramble or a climb and now we had left the windy ridges and summits above us, we sauntered out with blue skies above. Neither of us had been up in the Grey Corries before, it would make a grand place to wild vamp if it wasn’t so wet, and the map came out a few times as I played with a cheap GPS I’d bought a few weeks earlier – it’s nice to know that a human can locate himself anyway, just as well as a GPS if he’s well practiced and has kept a mental log of where he’s been. 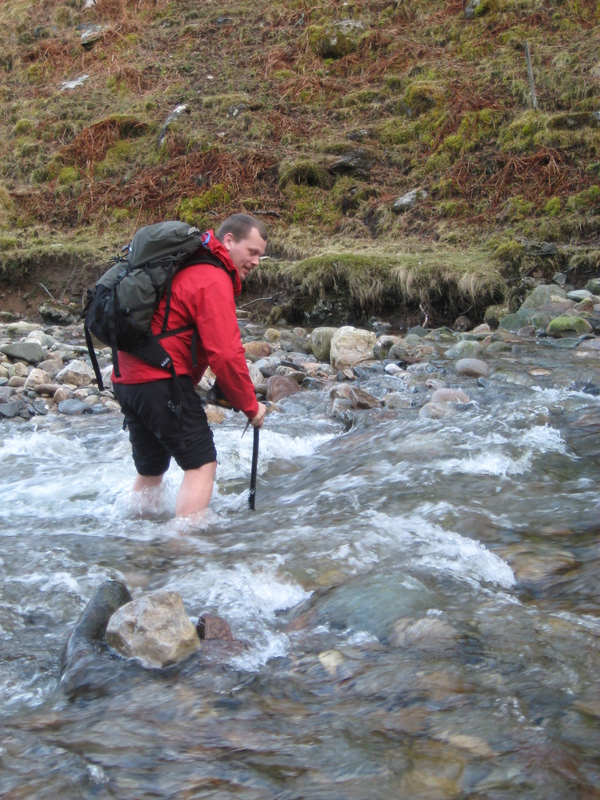 As we made our way down to the woods again, thoughts turned to the river crossing and with Chiz going first, I took the camera out of it’s dry bag… I’m not saying I wanted him to fall in, oh no, but it might have happened and I’d have had the picture! Climbing was off the agenda with what we’d seen today, so plans were decided over a beer for a drive up to Mallaig, stopping for photies along the way. It’s a sad thing when the only fish and chips we could buy in the town, came from a cafe, were obviously not fresh and the smoked kippers Chiz bought for his good lady came from the Co-op. Is this evidence of the suffering our fishing industry or just the malaise affecting a small port, that’s now at the back end of nowhere since the bridge to Skye was built? We found a great secondhand book room in the Fishermans Retreat/Cafe/Toilet place and I happily parted with a few pounds. 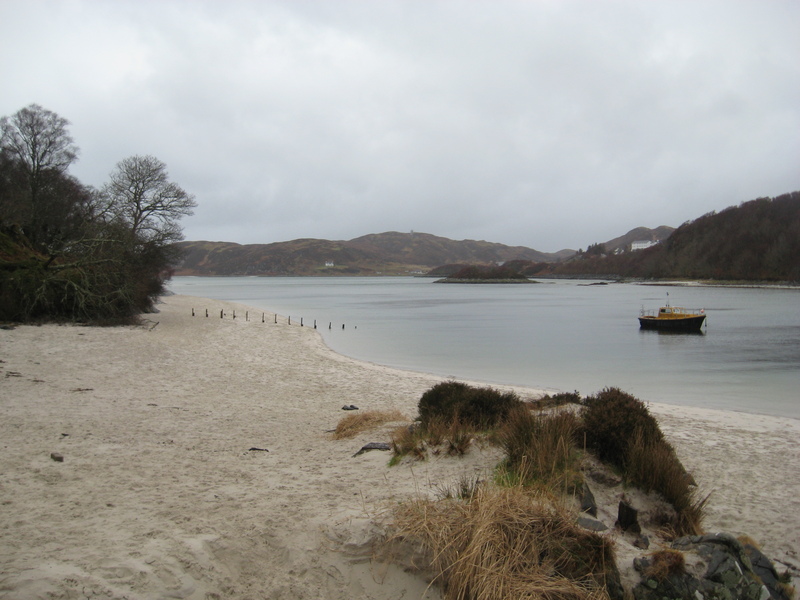 The beaches alongside the road are utterly stunning, as is the historical Glenfinnan, and Chiz took the opportunity for a swim in the sea. Madman! I legged back to the van and put my down jacket on it was that cold and when I returned to the beach… there he was, swimming away and loving it! Ha. I won’t post the pictures of him in a state of undress, I’d be uncertain of having a safe belay in future! 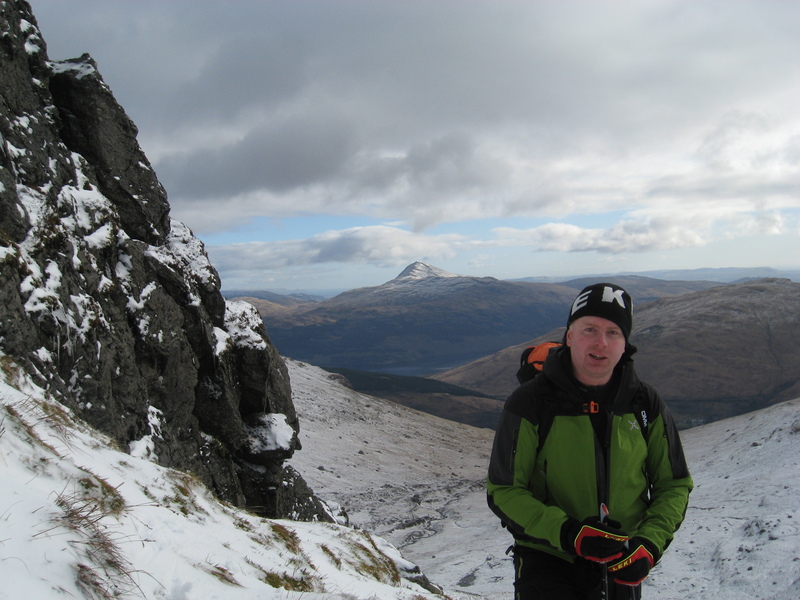 Then it was over, well, this part of the trip anyway as I was headed to the Arrochar Alps to meet up with some lads for a wild camp. Was it worth sacking off work for? Certainly! I’ll remember some of this for the rest of my life but that job in London would be a mere mote in the memory when I’m a retired and restless relic. During the recent trip up to Scotland, I met up with a few lads I’ve been ‘chatting’ to for a long while now. Testing kit was the idea but for me personally, it was all about putting faces and voices to the sometimes vague interweb identities of those concerned. I’ll get round to the kit in the next few weeks, some of it was brilliant but sadly unavailable here and some of the [very] lightweight gear was bombproof in some wickedly, windy weather. It was indeed a pleasure. Some photies to be getting on with. Nutrition… or the lack of it. Last Friday, enjoying a beer and a curry after what had been a decent effort on the training front, I realised I’d tweaked the left knee climbing a few hours earlier. I’ve been struggling with tight hamstrings and the inside of the left knee hasn’t been right in a few months but with the adventure race approaching fast, I’ve not really had the opportunity or the inclination to sort it. Stretching has been the only therapy and I’d taken it a bit too far that evening. Ah well. The planned mountain bike session for both days at the weekend had to slip by and it was feet up on the sofa for a cramming google session on nutrition, DOMS, stretching… anything that might help post exercise recovery. 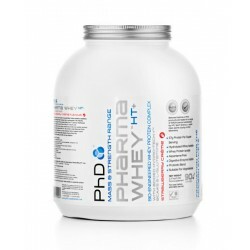 So 5 days later I find myself the proud owner of a tub of PHD Pharma Whey, a shaker and an upbeat attitude thanks to an hour in the bouldering room. The knee feels good to go again. As for the whey protein – will it help? Certainly, if all the ‘evidence’ is to be believed, it’ll help muscle recovery if taken within half an hour of exercise but what I really want to know is… will it taste good? With a two hour cycle planned for tomorrow afternoon, I’ll soon find out. 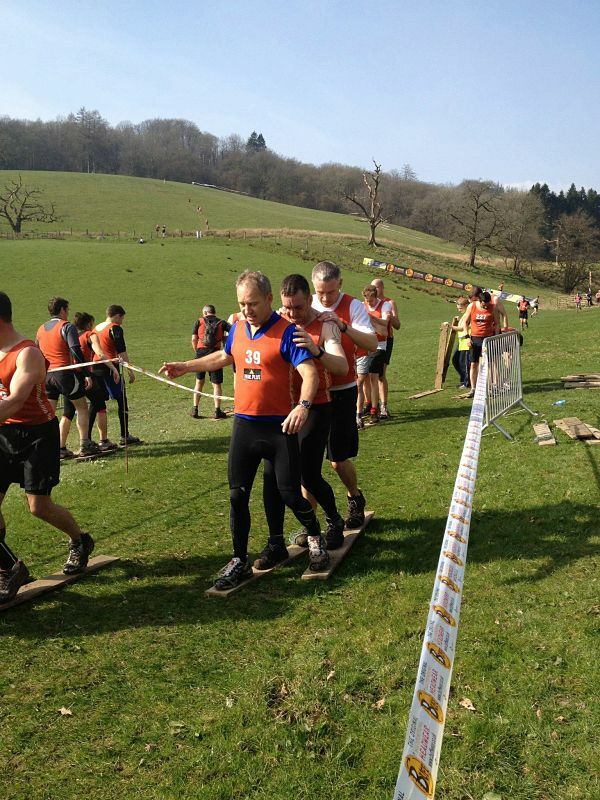 10 days till the Cumbrian Commotion and my first adventure race, I should have sorted this out ages ago!